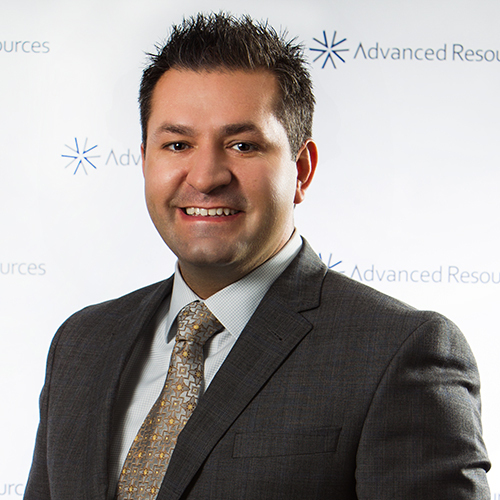 CHICAGO, IL--(Marketwired - April 20, 2017) - Advanced Resources, a staffing firm and talent solutions provider, announced today that Rich Diaz has been named a finalist for EY's Entrepreneur Of The Year® 2017 Award in the Midwest. The awards program recognizes entrepreneurs excelling in areas such as innovation, financial performance, and personal commitment to their businesses and communities. Mr. Diaz, President of Advanced Resources, was selected as a finalist by a panel of independent judges. Award winners will be announced at a special gala event on June 21 in Chicago. "I'm honored to be named as a finalist for this award," said Rich Diaz. "This recognition wouldn't be possible without the talented and dedicated team we have here at Advanced Resources." The program, now in its 31st year, has expanded to recognize business leaders in over 145 cities and more than 60 countries throughout the world. Regional award winners are eligible for consideration for the Entrepreneur Of The Year National competition. Award winners in several national categories, as well as the Entrepreneur Of The Year National Overall Award winner, will be announced at the Entrepreneur Of The Year National Awards gala in Palm Springs, California, on November 18, 2017. The awards are the culminating event of the Strategic Growth Forum™, the nation's most prestigious gathering of high-growth, market-leading companies. Advanced Resources is a temporary staffing, direct hire placement, and workforce business solutions provider headquartered in Chicago with offices nationwide. Founded in 1988, the company has placed over 60,000 candidates in HR, technology, non-clinical healthcare, accounting and finance, and office support roles. Advanced Resources is a proven industry leader committed to providing service excellence, being one of only four staffing firms throughout the U.S. and Canada to receive both the Best of Staffing® Client and Talent Awards every year since the program's inception. For more information, visit www.advancedresources.com.